The attention is aimed at searching for new alternative and mainly renewable fuels and energy resources lately because 90% of energy resources (oil, natural gas, coal) are non-renewable fossil fuels. 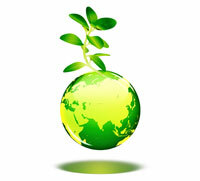 Renewable energy resources… is the phenomenon that has reguired unprecedented attention recently! biofuel and hydrogen obtained from renewable resources. This area is highly relevant at present so we in the company BIOENERGY SLOVAKIA, Ltd. assume that it will stay like that in the future and we have decided to establish a rather smaller but prosperous trade company in this area of business. The approach to reach the goal will be complicated and demanding but our existing experiences of international trade should help to fulfill our goal.